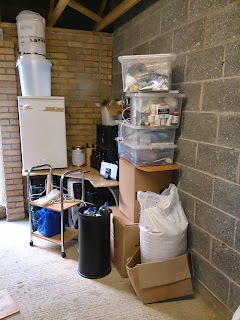 Next year I will start building a proper brewing area in the garage including converting the boiler over to electric. 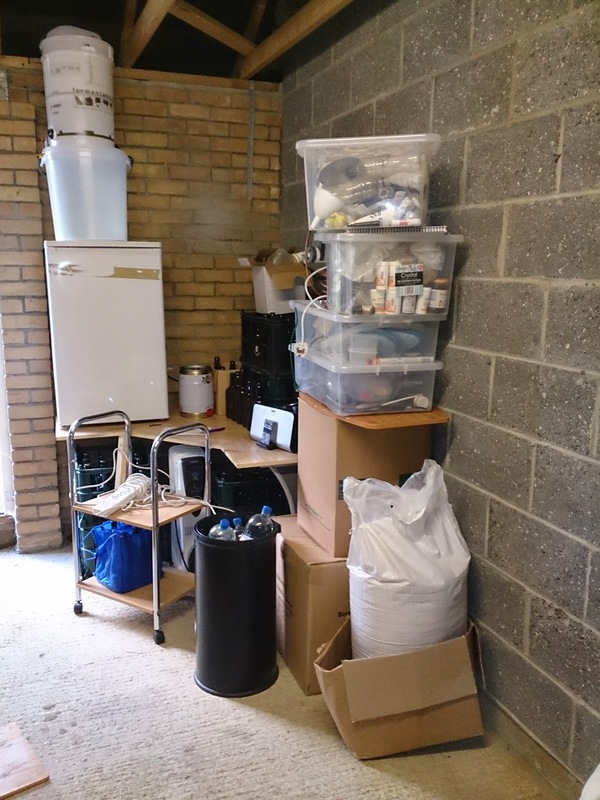 But a makeshift fermentation, bottling, and conditioning area. But this brew will be made in the kitchen and only shifted after the yeast is pitched. A simple single hop pale ale with Simcoe coming up.